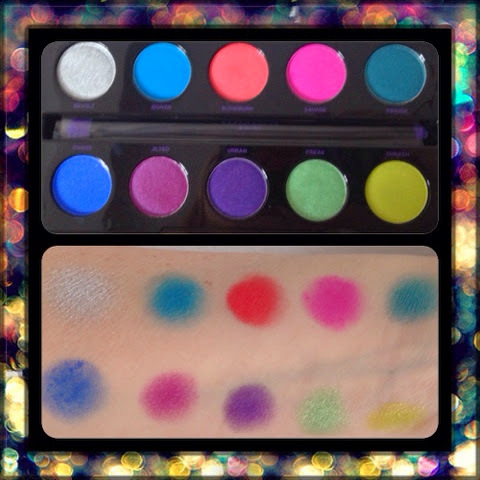 Urban Decay certainly makes buzzworthy, quality, highly pigmented products. I adore their Naked palettes as well as their 24/7 liners, lippy's and moon dust shadows. When I first caught a glimpse of this ELECTRIC pressed pigment palette I knew I had to have it. I remember the hysteria surrounding the Naked 3 palette and went to both Sephora and Macy's a few times before actually getting the sample for review. Chaos-inducing color—in ten VELVETY shades. Inspired by Chaos (a brilliant matte blue from The Vice Palette), Urban Decay created the ultimate fix for color addicts—packed with ten of the brightest, most amazing shades you’ve ever laid eyes on, plus a double-ended brush. In addition to Chaos, this palette marks the return of Revolt (a silver standout from our Anarchy Face Case). All the other shades are NEW, UD lovers! From ultra-smooth mattes to highly dimensional shimmers, each VELVETY shade delivers highly pigmented color payout. This ELECTRIC palette is available for $ 49 at Sephora , Sephora.com, select Macy's, Macys.com, UrbanDecay.com . 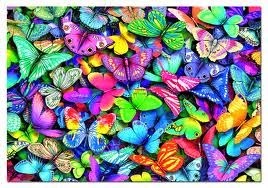 as the colors are so vibrant and playful. Chaos, Jilted, Urban, Freak and Thrash. If you use the palette or see colorful images that inspire you, feel free to use #udgetelectric and follow @urbandecaycosmetics on Twitter and/or Instagram.